United Way Centraide Canada celebrates the value of volunteering! From April 15 to 21, we celebrate Canada’s 12.7 million volunteers during National Volunteer Week. This year marks the 15-year anniversary of Volunteer Canada’s signature campaign. Each year, thousands of United Way Centraide volunteers contribute their time, expertise and talent to improve lives in their communities. Last year, volunteers helped the United Way Centraide Movement raise more than $517m. 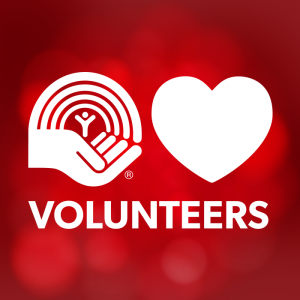 Workplace volunteers take on the coordination of United Way Centraide campaigns over and above their daily workload. They inspire their colleagues to give, volunteer and act. They mobilize collective action to make a lasting difference in their communities. United Way volunteers are critical to the operation of our Movement. United Way Worldwide recently published the blog post Volunteers Deserve to Be Honored Year Round. We couldn’t agree more! It is through the efforts of volunteers that the United Way Centraide Movement is able to take purposeful steps each day toward our mission of improving lives in our communities. With full appreciation of the inadequacy of our thanks when weighed against the impact of your collective contribution, every single one of our volunteers has our unwavering gratitude. Below you can find links to some of the great volunteer recognition initiatives taking place within the UWCs across the country during National Volunteer Week.